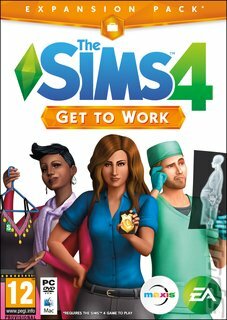 Following in the spiritual footsteps of The Sims 2: Open for Business and The Sims 3: Ambitions is The Sims 4: Get to Work, which picks up and refines much of what went into those previous expansions. For the more entreprenurially-minded, there's the opportunity to set up a retail business. Types include bakeries, clothing boutiques, art galleries, bookstores and more. Build Mode lets you get down to the nitty-gritty of how you want your store to be, including the stock you carry, how you manage your employees and how you handle customers. The world of your Sims gets plenty of new content, with career venues stocked up on different objects to help your Sims make it to home time. There are also new skills on offer that allow your Sims to create new stuff of their own, including the likes of photography and bakery. And, just in case you need a dose of weird, there's also the fact that aliens have landed and are walking among the Sims, so you might want to go ahead and discover the strange alien dimension!